How programming freelancers can write business proposals. What are the important elements one should have a business proposal? Download the free sample template PDF. A business proposal is a document from an individual freelancer or from a company to provide a detailed quote on client’s requirements. It emphasizes the understanding of the client’s requirements by the freelancer or the company and provides the necessary framework for a client to hire the freelancer or the company for the specific set of requirement. The granularity of details in the business proposal changes as per the requirements, the scope of the project as well as if it is for an individual freelancer or a team of freelancers or a company. As for example, an individual, the business proposal may include details of his or her availability whereas, for a company, the experience details of each of the team member can be the vital information. 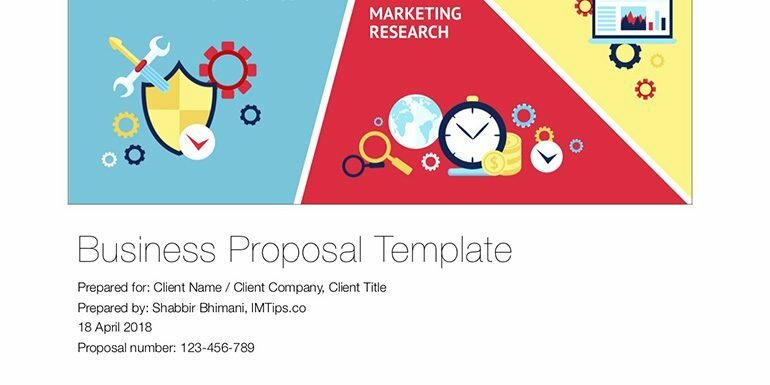 A business proposal is different from an Upwork proposal. Why We need Business Proposals? Business proposals are a win-win situation for both the parties. Clients know who all will be working on in his project when they will be delivering and how. From a company viewpoint, it is to make sure the team leader or the project manager understand the client’s requirement. Has documented it to help other team members to onboard easily. My personal experience has been that clients of clients want to have a business proposal as it helps them discuss requirements in detail with the direct clients using the proposal document as a point of reference. The business proposals can help plan projects and availability for each client with clarity. Often business proposals are considered to be a waste of time but if done rightly, it can help small company owners identify teams strength and weaknesses. Sharing proposals with the team can help them understand the client requirements fast and what is expected out of them. Remember if you don’t want the pricing part of the proposals to be known to each and every member of the team, don’t forget to remove those pages. Here is a complete set of elements a business proposal can have. Feel free to add as many as you find useful and leave others out of the business proposal. The cover page is the first page of the proposal. So it has to be professionally designed with few graphical elements. The textual information on this page is minimal and contains only the company names of both the parties along with the proposal date. The graphical element is crafted to provide more information about the company. Use the header and footer to give the professional touch to the complete proposal document. Add the company name and the complete address in the left part of the header and page number in the right part of the header. Add the contact information in the footer. Every business proposal should start with an introduction to the company. Who are we, what we do, the unique expertise and how it can help client with the project, awards, achievements, about the team members and their achievements or experience, companies overall vision and mission, involvement in corporate social responsibility or CSR or any philanthropy activities as a business or individual etc. The introduction of the company should include most of the information about the company or individual’s about page but in brief and preferably as bullet points. The complete project requirement or job requirement is copied as the problem statement. Depending on what is the term used by the client, project or job, rename this section accordingly. Try to use the language of the client. As an example, if the client uses the word task, rename this section as requirement statement. What are the proposed solutions for clients requirement or problem statements? If a client is looking to set up a community, how you can help them set up better forum solutions. If a client is looking to move servers, what are your suggested hosts and how you can minimize the downtime between the move? Cover everything about the proposed solution and how it can solve client’s current problem. Short term – eg: Weekly updates and what to expect in each of the updates. Medium-term – eg: Monthly review of the progress. Long-term – eg: Quarterly updates with progress reports. Add some charts to make it easy to understand. Focus on making it clear as to when a client can expect an update. Your project will have many stakeholders. If something can go wrong, assume it will go wrong. Have a plan to have it covered. It is all about managing the risk but often I see business proposals don’t have it covered. They don’t have a Plan B. What happens if you designer quits or the main lead developer is hit by a car? Having an alternate plan B not only makes things clear for you and your team, it also adds the trust factor for clients as they know you have it covered. 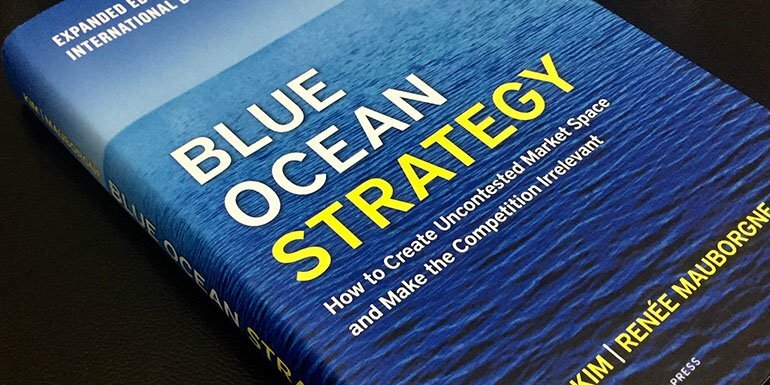 Not all your clients will want to be starting big with you or your team. Offer clients different services packages to be able to work with you. List all the services you can offer as packages. Let the clients build their confidence by working with you on smaller package or milestone. Wow the client with good communication and delivery schedule to have them go for a higher package. Just to make things clear, packages isn’t the price or the hourly rate. Packages are bundled services like minimum 20 hours per week commitment package or a minimum 10-year experience project manager to handle the project. Details about how you work, what to expect from you or your team and when? Will you be working in a test environment or is working on live environment fine with the developers? Will the client be providing the test environment or you have to create one? Will the client be putting things live with instructions from you or you will make it live? What is your timezone and how and when a client can expect a reply from you? Include everything here to set the client’s expectations right. Remember not to set very high expectations if you aren’t sure to meet them. Be very clear on the copyright of the code being developed for the clients. Will you be stating the powered by or developed by in the footer of the website or not? Can client remove the copyright notice just like that or you want to be compensated extra for the removal? Can the client use the code on multiple sites or you allow them for use only once. Can you reuse/resell the code to other clients? Add all the details to clarify who owns the copyright of the code? Price is an important factor in a business proposal. So take the time to set the right estimate of price for the project. Make the price estimate in a currency your client is comfortable paying. One of my client from the UK wasn’t comfortable with my hourly rates in USD. He was more interested in knowing the GBP price he will be eventually paid. Include prices that may include a move from test to live environment, complete documentation of the code, full copyright to the code etc. Along with the price estimates, including the payment terms. The terms and conditions section will also include the payment terms but it should also be present here as well. The client won’t go into all the granular details. So grab some common questions that are already covered in other sections of the business proposal and frame them as a list of questions with brief answer. The aim of the FAQ section is to make it scannable and handy for clients to see an answer to the common questions. As for example, you may have a preferred choice of payment method defined in payment terms but you can add it as an FAQ item and re-iterate the same. Testimonials can help clients understand if have you worked on similar projects in the past. It is a trust-building process for your product or service. The testimonials should include the picture or avatar of the person who has written the testimonial but if you can’t add a picture, including their website. Samples help the client build the trust further. Provide samples of work related to client’s requirements to instantly make your business proposal stand out. If something has already been done, the fear of the unseen goes out of the picture. If you don’t have samples, work towards building it. Here is how new freelancers can build sample work. Business proposal should always contain a table of content. When exported to PDF files often the links to the sections don’t work. Make sure the table of content links are clickable. Here is how to add a table of content on Apple Pages or Microsoft Word. If you have referred any case studies or another source of information in the business proposal, cite them here. As an example, if a client is looking for an HTML based website for his local business and you prefer to add Schema markup to help the client with SEO and structured data. Add the reference as to why it can help the client. Specify all the terms and conditions for doing the business with you here. Most of the terms and conditions will be covered in the proposals but still re-iterate them here. The terms and conditions typically won’t vary from client to client. The last but the most important aspect of the proposal is the space for both the parties to sign the proposal and kickoff the project.